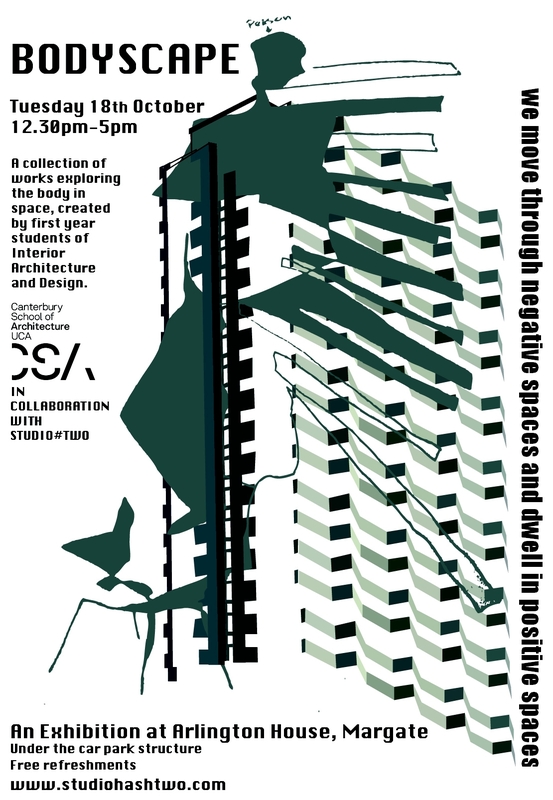 First year students of Interior Architecture and Design from Canterbury School of Architecture in collaboration with Margate based Studio#Two are putting on an exhibition at the lower carpark site behind Arlington House exploring ‘the body in space’. This entry was posted in Events by arlingtonhsmarg. Bookmark the permalink.